Steam face provides you multiple skin, health and beauty benefits.Whether you get a professional steam treatment in a spa but there is no need to spend time and money for making a trip to a spa or salon .You can pamper your skin to a spa style facial in the comfort of your own kitchen.The steam boosts circulation :deep cleanse blocked pores and loosens blackheads. How to steam you face? 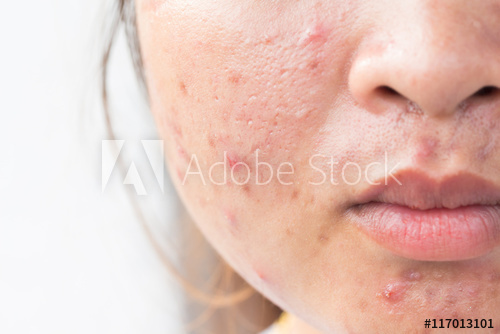 1.Wash your face with a facial cleanser and lukewarm water.Make sure to remove all of your makeup and all dirt,oil or sweat sitting on the surface of your skin and your skin be clean when you steam it.Your pores will dilate and if you have any dirt or makeup sitting on your skin it might make a way inside and cause infection. 2.Take a small pot of water to boil. Take 3-4 cups of water in a pot and bring the water to fully boil. 3.Pour the steaming water in a bowl. Be careful that don't pour the water into a plastic bowl.If you want to pamper your skin as part of an at home spa treatment so pour the water into a ceramic bowl.If you want a quick steam you can leave the hot water in the pot. 4.Place a few folded towel . Place whatever vessel you are using on a few folded towel on a countertop ,sturdy surface. 5.Add essential herbs and oils. You can also add essential herbs or oils to the water to make the treatment special as per your needs.It is an optional one if you want to add herbs or oils you can add otherwise it is an optional. You can add mint or lavender,chamomile,licorice root,rose petals or orange blossoms and essentials oils. lean over the bowl with your face close enough to the steaming water to feel it steaming your face,always keep it mind that do not so close that your skin feels like it's burning or you are having trouble breathing fresh air.Create a steam tent by draping a large bath towel over your head so that it drops down on either side of your face and trapping the steam. After steaming,all impurities are loosened and become soft.This is the perfect time to eliminate them.Either you can use a cool washcloth to remove them and close your pores or use a clay mask.You can use a smooth clay mask over your face and leave it for 15-20 minutes let it sit properly.Then wash your face with warm water and pat your face dry with a towel. After that you can tone your face or moisturize for the better results.